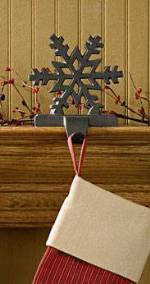 Our most popular stocking hanger! 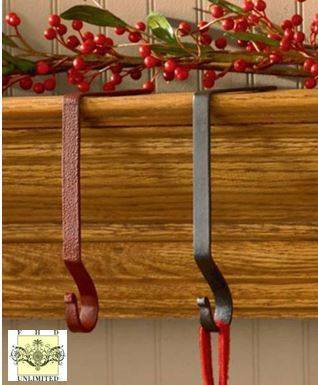 Perfect for the rustic mantle look, our simple metal stocking holders are perfect for the understated look. 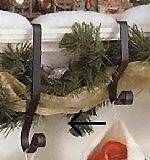 Hangers feature either a black or red finish and are perfect for holding stockings up to 6 pounds. Holders measure 7" high x 4" deep x 1/4" thick. The perfect hanger for not a lot of money!!! BUY MORE & SAVE! 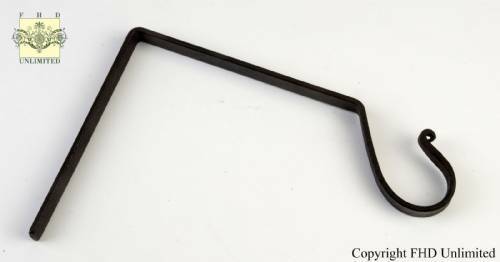 Add 4 or more of these simple stocking hooks to your cart, and the price automatically drops to $15.89 each!